How you define your rebrand depends on your goals. Rebranding is no simple task, however you approach it. It takes time, focus and deep inquiry. What are you trying to accomplish with your rebrand? What’s your rebranding definition? Your rebranding definition could be … Our audiences don’t understand who we are and what we offer. We need to rebrand to tell our story and be recognized as the best choice. Or you could define your rebrand as … Millennials are now nearly half of the workforce, we’re not ready! They buy differently, they communicate digitally and they use new ways to learn about us. We must be where they are. Or you might think of your rebrand as … All our marketing looks out of date compared to our competitors. We must update and refresh to connect to our audiences. Or perhaps you’re thinking … A rebrand will reach new audiences and show off our new products and services. We must appeal to what those audiences are looking for. We need to stand out! And then there’s … We have a logo but everyone uses a different version, and our online and offline marketing don’t match. And people keep asking what we do. It’s all very confusing! Rebranding isn’t a “fix” if you don’t know what is broken or why. Once you’ve decided to take the plunge, there’s both an art and a science to getting it right. Rebranding is a significant project, there’s no doubt. Rebranding demands an accounting of where your brand is now, who your audiences are, and your plans for the future. How and where do you fit in your category? An effective rebrand begins with a deep examination of “why.” Why do you do what you do? Why should someone consider you a best choice for what you offer? What’s your purpose, your reason for being? A comprehensive rebrand challenges the status quo. Significant changes can shake up staff accustomed to how the brand looks and feels now. A rebranding can also change processes staff may be accustomed to. Yet staff often welcome a shift in focus which gives them fresh new business cards and clarity. Messaging spotlights critical ideas important to your target audiences. Your staff will appreciate a fresh review of what’s offered and why your audiences are interested. When planning a rebrand, allocate enough time and the right resources. Your rebranding definition must embrace the multiple challenges of an effective rebrand. There may be no pat formula, but there are essential ideas and steps to guide your rebranding success. Engage your team in the process. Their enthusiasm and support will ensure they support the new brand where it counts — in every contact with your audiences. The final brand you create will come to life through your people. It’s their understanding of the brand’s purpose and the visual and verbal elements that will ensure success. Create brand stewards on your staff. Engage them in the development and give them the tools, templates and training to help them support brand integrity in their day-to-day communications. When you choose your partners in the rebranding process, give them room to do their best work for you. Believe in them, their objective viewpoint and their creative vision. They’ll want to understand your organization, its purpose and how it’s known. A large committee can dilute the results by asking for continuous changes to suit many opinions. One of my favorite quotes is “a camel is a horse designed by a committee.” And more often than not, it’s true. Allow ample time for the process. The process doesn’t happen overnight. It requires dedicated time to assess, evaluate, create, review, plan, revise, refine and carry out. The process also demands time from you as a leader and from the team that will coordinate the details. From contributing ideas and feedback, to assembling website content and scheduling photos, to identifying how information will be processed and distributed, selected team members must be involved. Rebranding is not a process you can leave completely to the brand experts you’ve hired. They’ll need your opinion and comments, details about your customers and your insight. You know your company, your audiences and your processes. You hold the keys to the stories that will connect the brand to your audiences. Plan your brand for flexibility, and to evolve. In today’s online and offline world, with relentlessly changing communication options, your brand system must have flexibility. It must be able to evolve. A visual vocabulary of color palette, logo elements, font system and specific imagery can true up a brand. If not managed well, it can also create confusion. Periodic updates to colors, fonts and image style can refresh the look and create an updated rebranding definition. A brand refresh looks new, yet connects to what’s recognized. A rebrand is challenging, energizing and very satisfying. 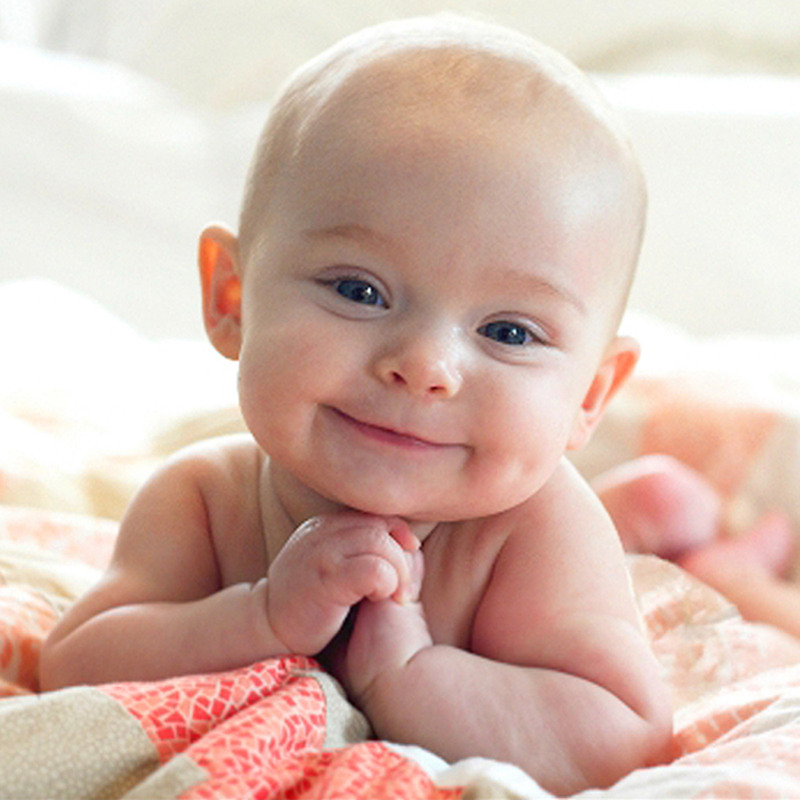 Think of your rebrand like having a baby … long gestation with a lot of thing unseen but developing, then the delight of a new face, a new personality and lots of cooing and compliments. When you dedicate time, effort, resources and focus, with a clearly defined goal, your rebrand will be hugely valuable for your organization and your team. Contemplate the possibilities. Embrace change. Be new again. Choose your rebranding definition. For more insight into building a brand or rebranding, explore these blog posts and resources. Rename and rebrand, are you ready to embrace the change? 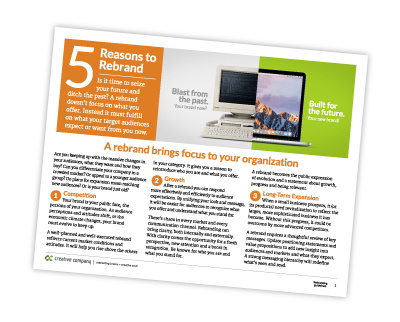 Begin the rebrand process with positioning … download our worksheet below.